In 2010 the Texas State Board of Education (SBOE) approved controversial curriculum standards for social studies at all grade levels in the public education system. (The New York Times) These standards put textbook publishers in the difficult position of choosing between established scholarship, which would risk the rejection of their products by the SBOE, or conforming to the ideologically-driven curriculum standards in order to sell their materials. 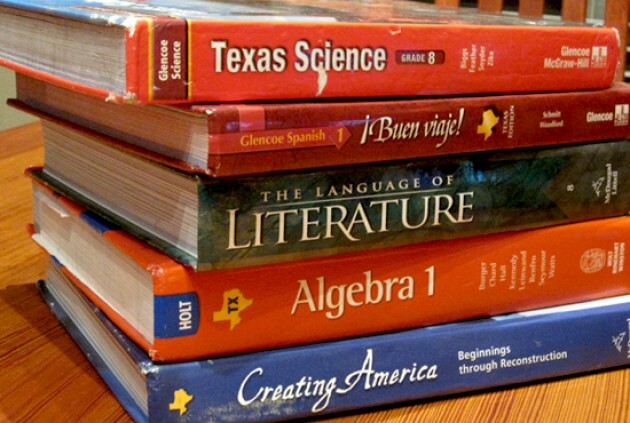 On November 21 the SBOE approved almost all of the social studies textbooks. But it is not all bad news. According to TFN, the biased depictions of Muslims, Affirmative Action, the Civil War, and climate science were corrected. • Another textbook published by Perfection Learning claims that the framers of the Constitution were influenced by Moses, John Locke, Charles de Montesquieu, and William Blackstone. The idea that Moses supposedly contributed is: “A nation needs a written code of behavior.”  There is no indication of how this vague idea influenced the framers. This concept was commonplace, and Moses was hardly the first or only source of this idea. Nowhere do the framers discuss or give any indication that they drew their ideas from Moses. In contrast, Locke’s influence is undoubted and grounded in the documentary evidence. There is also evidence that Montesquieu and Blackstone influenced the framers. • The material from Social Studies School Service claims that “much of the Founders’ commitment to liberty and individual rights” was derived from Christian principles. Lester points out that there are two different Christian conceptions of liberty, and without making this distinction this section is misleading. But this claim is also misleading without showing that these ideas also developed in reaction to civil and ecclesiastical tyranny. In addition, this claim is suspect given the fact that Christian liberty, as defined through most of the history of Christendom, is clearly at odds with the kind of liberty and individualism advocated by the founders. • Houghton Mifflin Harcourt submitted a government textbook that included a section claiming: “The Framers’ political thinking was influenced by a Judeo-Christian religious heritage, which includes traditions common to both Judaism and Christianity. These religions see the law and individual rights as being of divine origin. Moreover, the Framers benefited from the Protestant Reformation, a sixteenth-century Christian reform movement whose leaders developed ideas about individual responsibility, the freedom to worship as one chooses, and self-government.”  Here as in the other texts there is no evidence for these claims. They are simply asserted. The relationship between the Protestant Reformation and the framers is indirect and complex. Not to mention the fact that the two most important leaders of the Protestant Reformation (Martin Luther and John Calvin) did not support the kind of religious freedom or self-government that the framers maintained. The framers’ understanding of rights is also complex and wide-ranging. Rather than the biblical God many framers believed that natural rights came from “Nature’s God” (see previous post on Jefferson and the Declaration of Independence). Fortunately Houghton Mifflin Harcourt withdrew this textbook from consideration. • The textbooks also misrepresented the meaning of the Religion Clauses of the First Amendment (Congress shall make no law respecting an establishment of religion, or prohibit the free exercise thereof.) They downplay Jefferson’s understanding of the religion clauses when he declared that they build “a wall of separation between Church and State” by directing the students to “compare and contrast” Jefferson’s statement with the First Amendment implying that it does not in fact separate church and state. They ignore the evidence that indicates that this was the understanding of James Madison, the most important individual in crafting the amendment. One of the textbooks (Perfection) did not even mention Jefferson’s famous phrase. The purpose seems to be to undermine the separation of church and state as a credible interpretation of the amendment. But to ignore evidence to the contrary is not misleading and not a balanced treatment of the subject. These examples illustrate Lester’s claim that ideology trumped good scholarship. It is clear that the publishers were trying to give at least the appearance of adhering to the curriculum standards, but in doing so they sacrificed scholarly standards. Their compromised versions of history leave students with the impression that the US government was founded on Judeo-Christian principles, and from there it is easy to buy into the false claim that this is a Christian nation. We do a disservice to our children when we indoctrinate them with ideology. For our children to be truly educated they must be exposed to knowledge that is accurate, balanced, and unbiased. The past is complex and students must be given the tools to evaluate the diverse claims about the past using evidence. If we indoctrinate our children they are left with the impression that history is fixed and dogmatic, and they do not learn to think. Ideological thinking closes their minds rather than opening them as is required in a democracy. The health of our democracy rests on an educated populace. That is why it is important for us to speak out against this kind of blatant political hijacking of our public education system. 1. The state conducted its own official review but the main task of their reviewers was to confirm that the proposed textbooks conformed to the curriculum standards, not to determine if they reflected the consensus of scholarly research. 2. “Writing to the Standards: Reviews of Proposed Social Studies Textbooks for Texas Public Schools Reports from the Texas Freedom Network Education Fund (September 2014) EXECUTIVE SUMMARY, 8. 3. Lester, Emile, A Triumph of Ideology over Ideas: A Review of Proposed Textbooks for High School U.S. Government in Texas (September 2014), 3.